A young man rides a bicycle on the campus of the University of Southern California (USC) in Los Angeles, California on May 17, 2018. Carol Folt, former chancellor of the University of North Carolina at Chapel Hill, will become USC's 12th president and the first permanent female president in school history - an announcement that came a week after news of the bribery scandal broke. 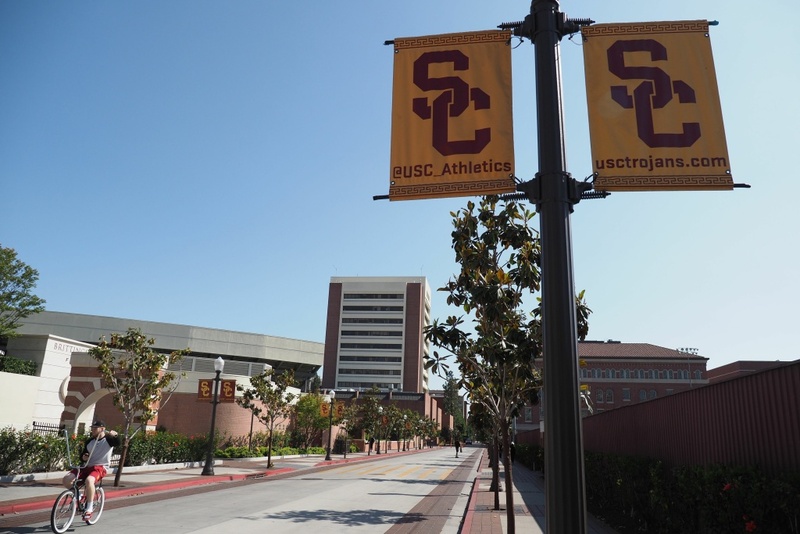 Rick Caruso, chairman of the USC board of trustees, said a lengthy search for a new president led a 23-member committee to unanimously recommend Folt.